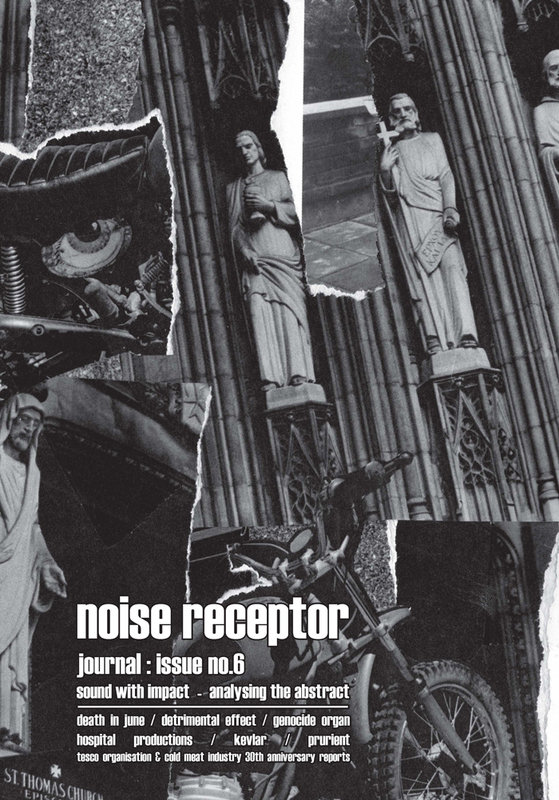 ISSUE NO.6 OF NOISE RECEPTOR JOURNAL IS OFFICIALLY OUT!!! Apart from the printer delivering the job four days late, the actual print job has come out perfectly. All pre-orders and wholesale parcels are being shipped this morning. Any orders made from 29th onwards will be shipped next Wednesday when I do my next bulk postal run. International distribution via: Freak Animal, Tesco Organisation, Tesco Distro, Malignant Records, Hospital Productions, Loki Foundation, Steelwork, Amek Collective, Scream& Writhe, Deadmoon Rex, Aural Hypnox, Tordon Ljud, Cloister Recordings, Deutsch Asphalt, The Epicurean, Total Black, Hag Shadow, Cold Spring, Unrest Productions, Zine Zone, Material World – and more still to be confirmed. 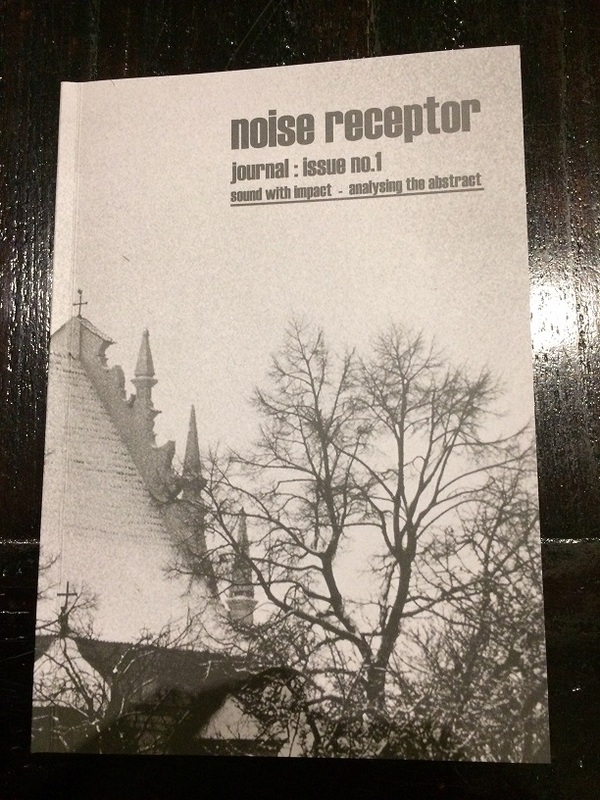 Pre-orders on the new No.6 Issue of Noise Receptor Journal are now being accepted. The new issue is scheduled to be released in early December, 2018. All Pre-orders will be sent immediately upon release. International distribution is still to be organised, but all the usual suspects will be likely to stock copies. 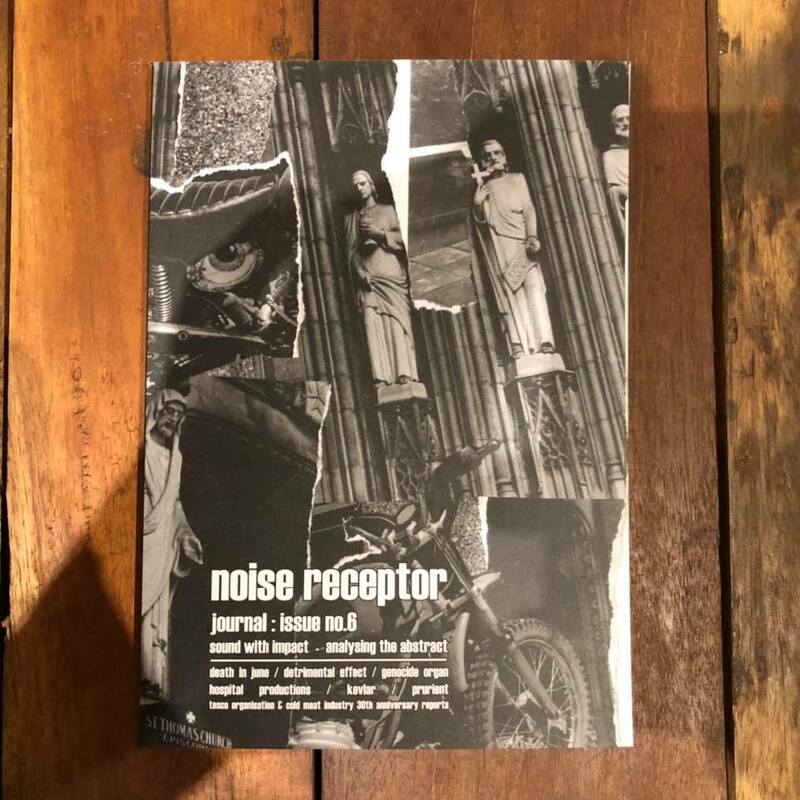 Substantial work on Noise Receptor Journal has been happening behind the scenes throughout 2018. While the final elements are being completed, the cover of Issue No.6 can now be publically released, featuring collage artwork by Dominick Fernow. The magazine is currently targeted to be released in late November/ early December, with pre-orders likely to be announced in the coming week. Look out for further updated soon. 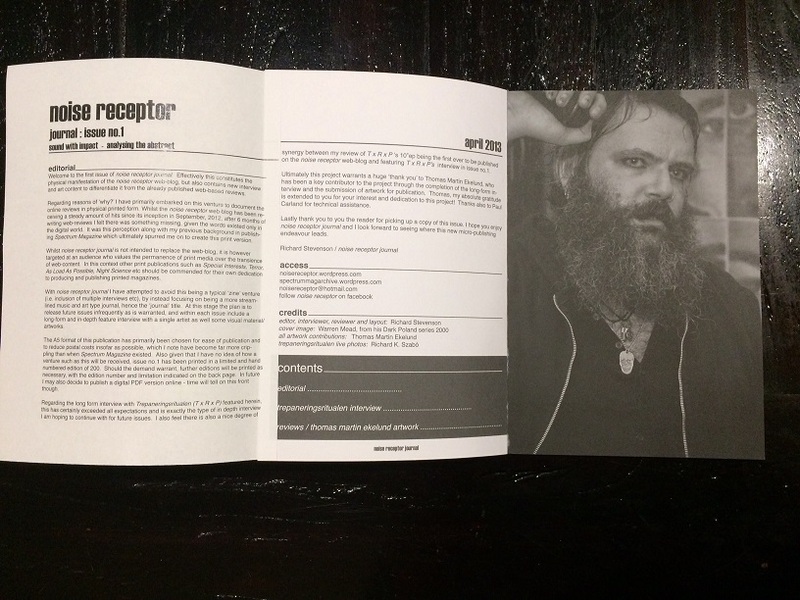 I am now taking bookings for advertising space in Issue No.6 of Noise Receptor Journal. Planning and preparation for Issue no.6 is well underway and is currently scheduled to be released in early December, 2018. If you would potentially like to book advertising space, contact me at: noisereceptor@hotmail.com with a message of interest and I can provide further details price and technical specifications. Should you have any other questions, get in touch. Content of the issue to be announced in due course. She Spread Sorrow is a solo Italian project fronted by Alice Kundalini, with Midori being her third album since 2015. 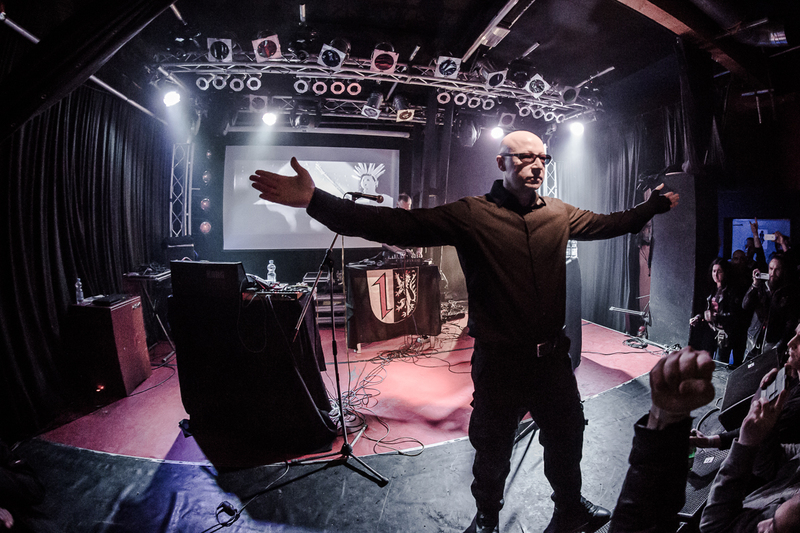 In making reference to the first two albums, those were broadly promoted as being of a death industrial and power electronics type, however in truth Alice’s approach was a far more restrained and minimalist take on such styles. Thus by forgoing the typical outwardly aggressive elements, She Spread Sorrow’s sound was (and is) framed around creepy and vaguely disturbing atmospheres. To then speak of Midori, it has taken the base template of earlier material and added a heavy dose of ritual dark ambient tonalities to further widen the sound of the project. The trademark vocals also remain as a constant, where they are clearly recognizable for their drawling whispered style, being delivered in English with an obvious Italian inflected accent. In an overarching sense Midori is an album of tensile widescreen ambient soundscapes with smatterings of noisier textures and sonic elements, but those elements are clearly dialed down in tonal intensity when present. Additionally, Midori has embedded a greater use of orchestral synth pads also pushes the album towards dark ambient expression, yet are also used sparingly for added impact. The evolution of She Spread Sorrow’s sound is then clearly demonstrated on album opener Escape, being an excellent piece of orchestral washes, muted drones, vague percussive elements, with whispered vocals mixed upfront. Following track Night One is a heavier and grim bass addled piece, but ritual chimes give it a differing overall sensibility. That ritual aspect is further amplified on The House through the use of a central ritual percussive texture against an undercurrent of minimalist layered drones. Who Are You, Midori? is of note as it features the most varied instrumentation of the album, including sweeping orchestral strings, a distant plodding piano create a darkly cinematic atmosphere, coupled with sporadic percussive hits and the trademark vocals. To The Light is an album standout based on its darkly moody sweeping orchestral framework and clearly of a neo-classical tinged dark ambient offering, while the album concludes with End of Midori, and has an almost abstract dark jazz tone due to the slow rhythmic percussion set to sweeping sub-orchestral drones. 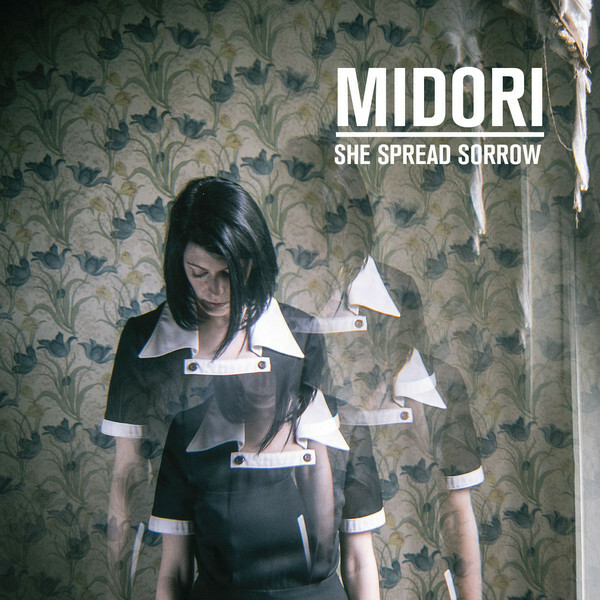 Clearly building on what has come before, Midori is the strongest work yet from She Spread Sorrow, being an expertly crafted album which has an expanded sound palate and feels to have been created with a greater degree of compositional confidence. Clean visuals and design of the digi-pack cover rounds out the visual presentation, with full lyrics included to further outline its thematic and conceptual story-line which is clearly implied through the titles of the album’s six tracks. 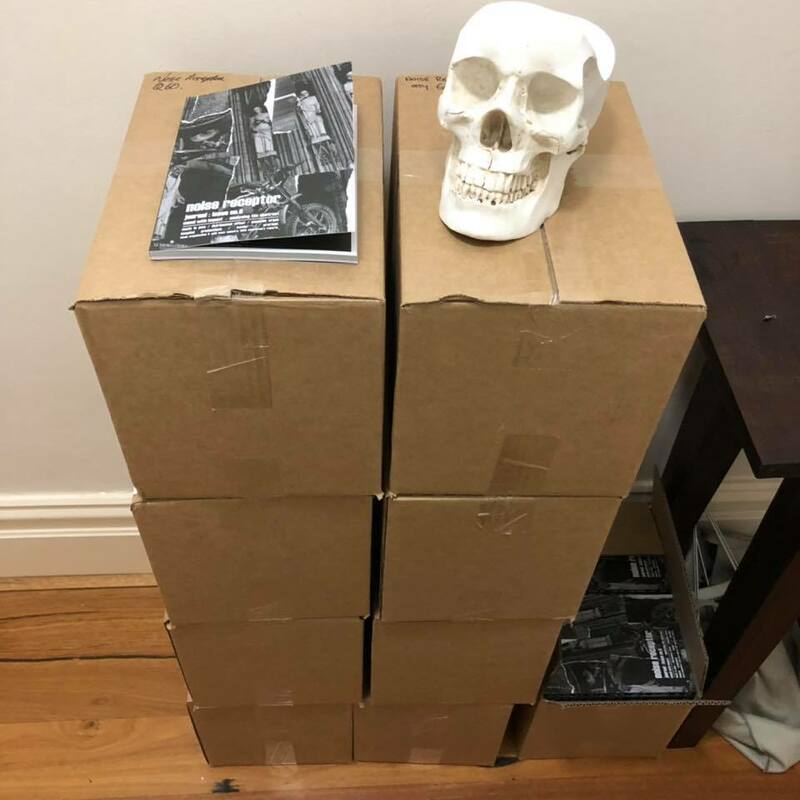 By way of background, the first edition of Issue No.1 was printed in 200 hand numbered copies, followed by a second edition (unnumbered) of 150 copies. However during the printing process of the second edition, the printer accidentally excluded the inside front cover and inside back covers, with these ‘misprinted’ copies having been sitting in a box unused. 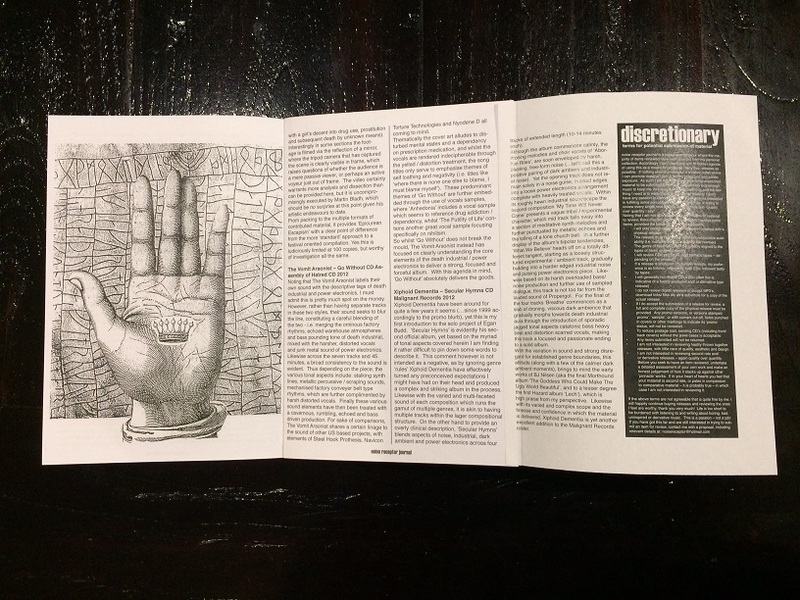 As there has been substantial ongoing interest in Issue No.1, and that the first and second editions have completely sold out, I have decided to use the 150 ‘misprinted’ copies as the third and final edition, where the missing pages have been glued in as ‘fold-out’ pages (refer to images below).